A Year of Being Here: Dianna Henning: "When the hummingbird's beak caught in the window screen,"
Dianna Henning: "When the hummingbird's beak caught in the window screen,"
or utter anything about a harrowing escape. "When the hummingbird's beak caught in the window screen," by Dianna Henning. Text presented here by poet submission. 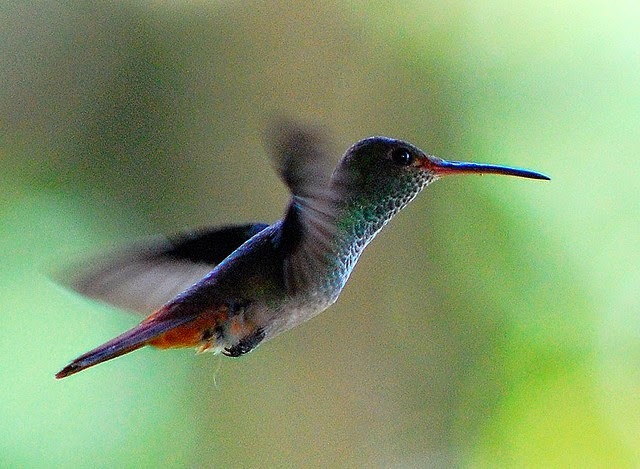 Art credit: "Hummingbird crop," photograph taken on February 22, 2007, by Jon Fife. I love the beautiful simplicity of the moment here--it reminds me a little of Woolf's short essay, Death of a Moth, about how even small creatures can illuminate us about life and death. Dianna, as always, you see creation and its deeper meanings in the smallest things . . . a grain of sand, or a humming bird . . . beautiful. Hope to be reading your poems for many years to come. Beautiful and lyrical. Perfectly captures this magical bird.